I'm always tempted by Alien Legion but I've just got too damned many comics waiting to be read... but for $12... tempting! Anyone have any idea if these link to your comiXology account? The don't but are all the better for it. You need to download the Dark Horse App BUT as I recall means you can store things on external storage. Okay so there's a GMozz DC sale over at Comixology do I finally bite the bullet and get the Invisibles? Whole series (I think - 7 collections?) for £28... I'd be daft not to right? While on on the matter his Swamp Thing run (with Millar) any good - £4? 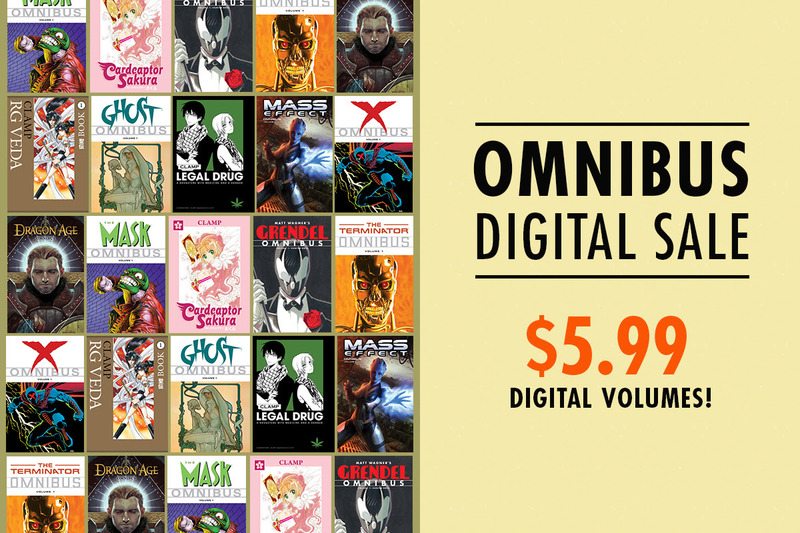 So now I've been distracted from any thoughts of GMozz's Invisibles by the fact that Humanoids have a 50% sale on Comixology. Now this has got to be too good to pass up BUT so much to choice from. So any recommendations. I've got Incal, Metabarons and Bouncer already. Anythign else stand out ... or damnit will I have to do long hours of research... like I wouldn't love that! Some one mentioned Savage Highway the other day? I used to the sale to grab up issues of District 14 Season 1. Its very unique, though a bit hard to pin down in terms of story. I also grabbed Retro World Book 2, because I read Book 1 a while back and enjoyed it. I recall from the old DC/Humanoids partnership I really REALLY like Freddy Lombard and Miss: Betting Living Through Crime. Freddy is like a more mature/cynical Tintin, and Miss was just a really good 30s crime thriller. Yeah I looked at District 14 as it did seem really different and interesting. Might read a bit more about that one. I've got a few days and might need them! Why would someone who hasn't played an RPG for at least 25 years even contemplate spending money on piles and piles of Warhammer Fantasy stuff? Well, if anyone was on the fence about IDW Dredd and fancied dipping a toe, grab the current Humble Bundle. For $15, you get pretty much everything, from what I can tell, along with a smattering of Rebellion content. For $1, you still get the superb Mars Attacks vs Dredd, year One, Urban Warfare, Cry of the Werewolf, and Origins, along with two volumes of the Swierczynski-penned Dredd, one volume of Mega-City Zero, and the Funko one-shot. Nice one. My inner masochist almost jumped in on the IDW Comixology sale but this is a much better deal. Particularly with a serious helping of proper Dredd to sweeten the pill. Ends 7pm today (UK time). I finally got off the fence and bought it last night. Then I had a look at my humble purchase history and got freaked out by the number of things I don't even remember buying, much less reading.